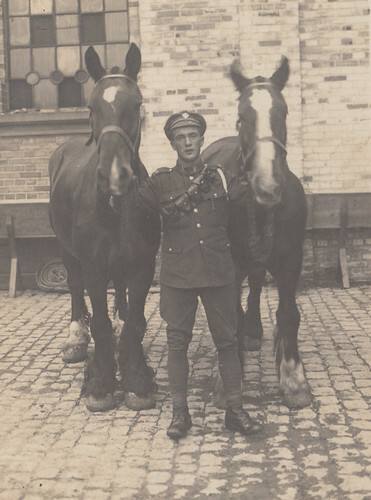 The use of British Cavalry regiments in the Great War is something that the War Horse film recently highlighted. 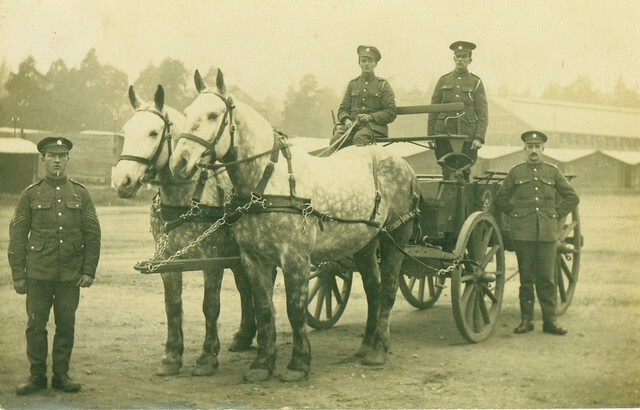 In 1914 the British Army still placed a heavy importance on the role of cavalry not only in an offensive role to attack an enemy, but also in a reconnaissance one. 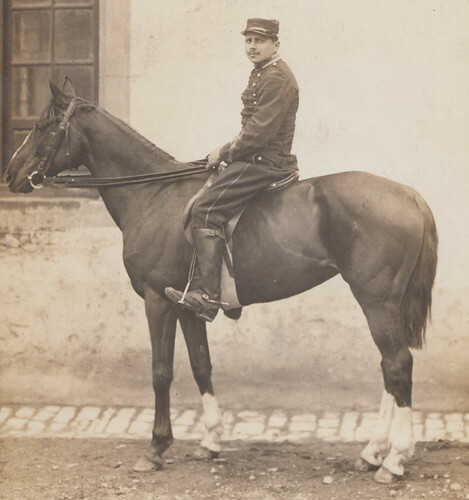 This was certainly a task cavalry was used for in the early battles of the war although occasionally there were full scale charges such as that of the 4th Dragoon Guards and 9th Lancers at Audregnies on 24th August 1914. 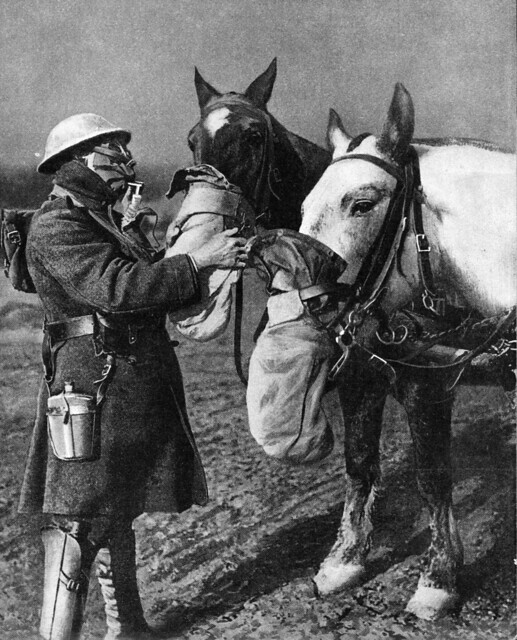 When the war went static cavalry had less of a chance to be directly involved but entire regiments still went into battle on horseback at High Wood on the Somme in July 1916, Monchy at Arras in April 1917 and during the Battle of Cambrai in November 1917, as just a few examples. 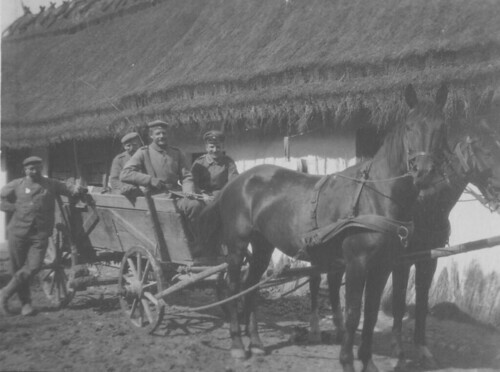 In 1918 the war became more mobile and the use of cavalry in the front line became more commonplace again,with famous actions at Moreuil Wood and on the Hindenburg Line. 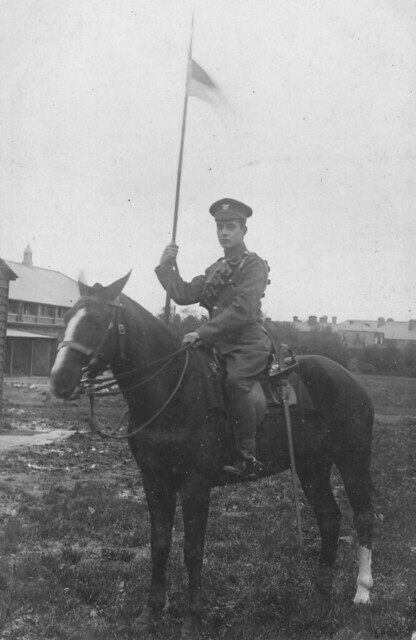 This image shows a soldier of the 5th Lancers during training before he departed to France in 1916. This is very much the sort of attire the regiment would have gone to war with in 1914. 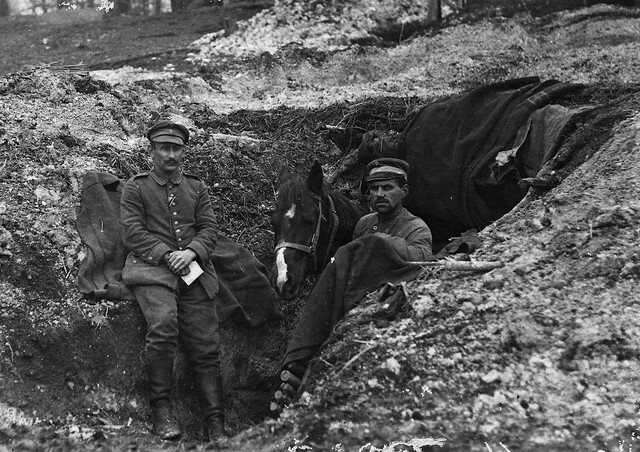 By the time this soldier joined the regiment on the Western Front they had been dismounted and were being used as infantry in the trenches, but like all cavalry in 1918 they returned to fight on horse back with the last British casualty of the war being a 5th Lancer killed on horseback near Mons on 11th November 1918, George Edward Ellison.